Ankara, Turkey, August 21, 2015 - It is just under a year until the start of the Olympic Games in Rio. Volleyball is set to be one of the absolute highlights of the Summer Olympiads and the Brazilian ladies have their sights set on winning a third Olympic gold in a row. It came as no great surprise when volleyball-mad Brazil claimed gold at the recent FIVB Volleyball Women’s U23 World Championship in Turkey. 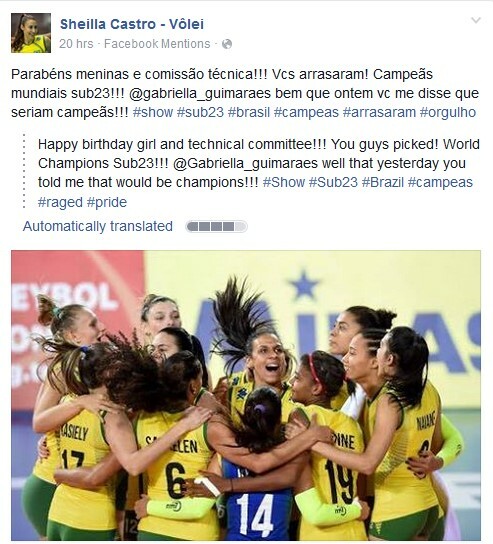 Back home in Brazil, big stars like double Olympic champion Sheilla Castro were quick to acknowledge the success. The event in Turkey demonstrated that Brazil can rely on a host of talented youngsters when it comes to naming their team for Rio 2016. And there would appear to be no need to worry about whether they can handle pressure either. The Brazilians, in their traditional yellow and green, defeated hosts Turkey in the final in front of 7,600 fans at the sold-out Baskent Volleyball Hall in Ankara. The final result was a 3-1 (25-21, 21-25, 25-19, 25-22) win in favour of Brazil, who had suffered a crushing 0-3 defeat against the same opponents in the competition's group stage. 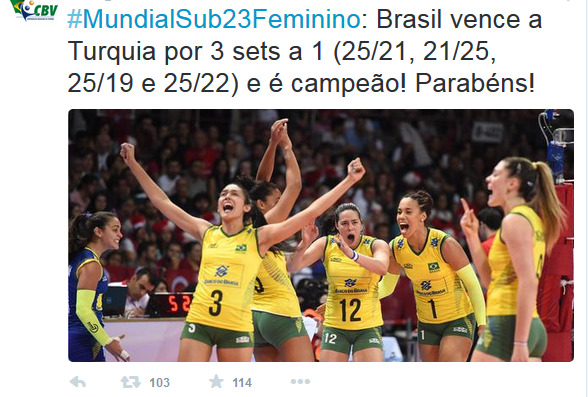 Brazil followed in the footsteps of China, who won the inaugural edition of the FIVB Volleyball Women’s U23 World Championship in Mexico in 2013. Juma Silva, who was also named best setter of the tournament, pulled the strings in her team's matches. Hitter Rosamaria was the top points scorer – she contributed 17 points to her team’s cause in the final. “We won this competition as a team. It's a wonderful feeling and I am very happy. I have to thank the fans for the support we received - the Brazilian fans were there for us throughout our campaign," said Rosamaria. Rosamaria is popular with the fans, with well over 10,000 followers on Instagram. Gabi, Rosamaria and Silva Juma are among the players coach Roberto Guimaraes (“It is nice to be able to call on such a large pool of talented young ladies”) has had his eye on for the national team for a while now. 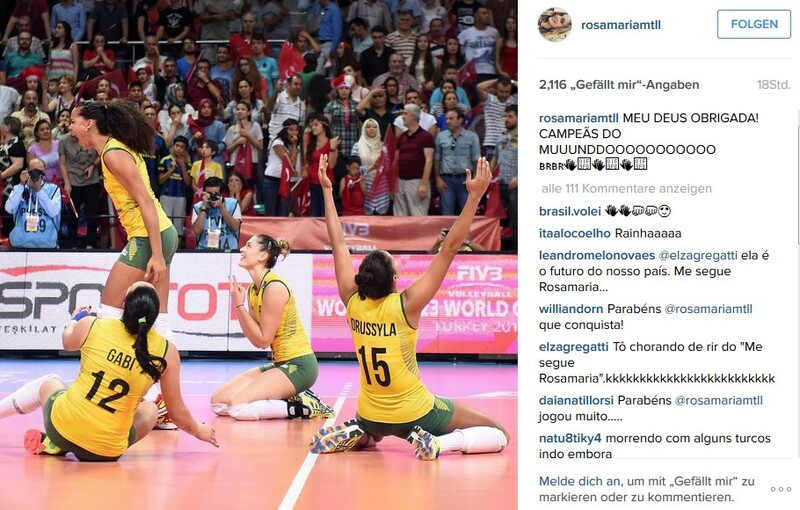 Rosamaria was also part of the Brazilian team that won silver at the Pan American Games in Toronto this July. “It's very different. I am still not used to being in the middle of these girls. I look at stars like Jaqueline or Fernanda. I've always been a fan of them and now I get super support from them,” said Rosamaria. No question: the title at the FIVB Volleyball Women’s U23 World Championship is another important piece in the puzzle on Brazil’s path to a much-anticipated gold medal at next year’s Olympic Games in Rio.